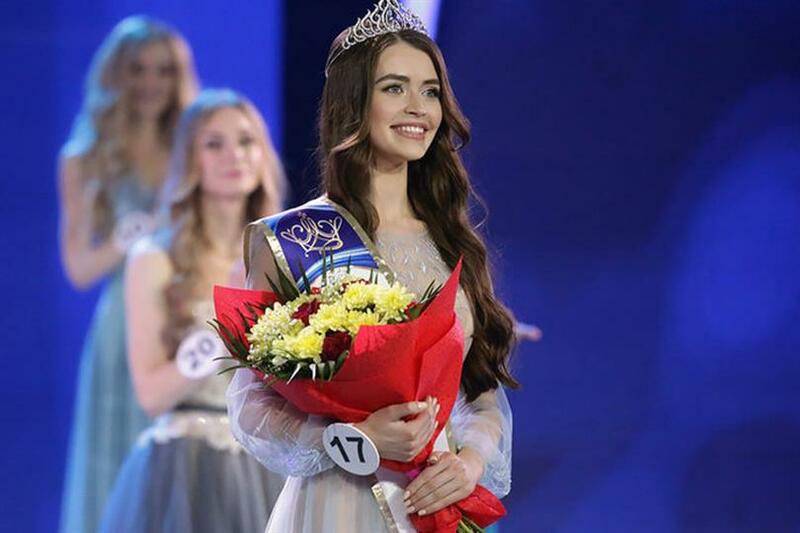 At the grand coronation night of Miss Belarus 2018 held at the Sports Palace on May 4th 2018, Maria Vasilevich was crowned the new Miss Belarus and will now represent Belarus in Miss World 2018 international beauty pageant to be held in Sanya, China later this year. Maria is 20 years of age and is a student of Belarusian State Economic University and her dream is to become a TV presenter. She defeated twenty-nine other contestants to win the coveted title. Maria succeeds Miss Belarus 2016 winner Polina Borodacheva, who represented Belarus in Miss World 2016 though remained unplaced at the finale. Infact, ever since Belarus started sending its representatives to Miss World (commencing from the year 2000), no beauty from Belarus has so far managed to win a placement at any of the Miss World contests. We do hope and believe that this year's representative can manage to secure first ever placement for her country at the finale of Miss World 2018. The first runner-up at the finale of Miss Belarus 2018 was Margarita Martynova, who is 22 years of age and comes from Slonim. Margarita will now represent Belarus in Miss Supranational 2018. The second runner-up was Anastasia Lavrinchuk, who is 18 years of age and hails from Minsk. The grand finale of Miss Belarus 2018 was attended by Belarus President Alexander Lukashenko and many other people of fame. Words of support were offered by the Miss Belarus finalists of the previous years. Watching the show were title-winners (in their own field), Olympic champions Darya Domracheva, Nadezhda Skardino, Irina Krivko and Dinara Alimbekova. The show starred Natalia Podolskaya and Vladimir Presnyakov.